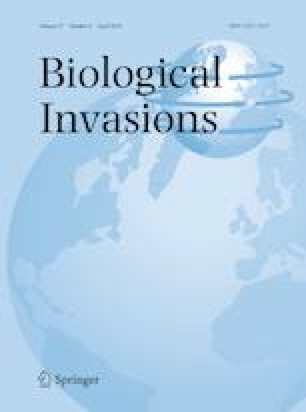 Correction to: Trophic plasticity and the invasion of a renowned piscivore: a diet synthesis of northern pike (Esox lucius) from the native and introduced ranges in Alaska, U.S.A. The original article can be found online at https://doi.org/10.1007/s10530-018-1909-7. In the original publication, the following disclaimer statement included in the first page should be ignored. This draft manuscript is distributed solely for purposes of scientific peer review. Its content is deliberative and predecisional, so it must not be disclosed or released by reviewers. Because the manuscript has not yet been approved for publication by the U.S. Geological Survey (USGS), it does not represent any official USGS finding or policy.